Home Health Medicare News: The U.S. News & World Report Health Care Index has provided new data regarding the healthcare expenditures. The report also includes information regarding medical costs, insurance coverage, and several other categories. Within the data, it was highlighted that some of the largest change in growth for health care expenditures included caregiving for seniors and home health care. Between 2000 and 2013, there was a large increase in expenditures and employment within the home healthcare realm. 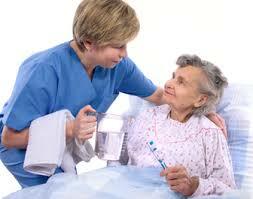 Home health aids, nursing assistants, and registered nurses saw the largest increase within this particular timespan. “The Health Care Expenditures Index shows that health care spending in the U.S. comes from public and private insurance, industry spending and costs paid out of Americans’ own pockets. Expenditures data are weighted at 44 percent of the overall index, the largest portion. The Expenditures Index is the second-fastest rising factor, after deductibles. Hospital care saw the largest amount of increase in overall health care expenditures, followed by physicians and in order of greatest to least – were spending on prescription drugs, care at retirement communities, dental care and home care.